Embrace the sleek and attractive design of the 2018 Toyota Corolla as you make the most of every experience on the road. Featuring a striking four-door exterior with innovative technology and seating for up to five, this is not your average sedan. Available trim levels include the CE, LE, SE, and the LE ECO. 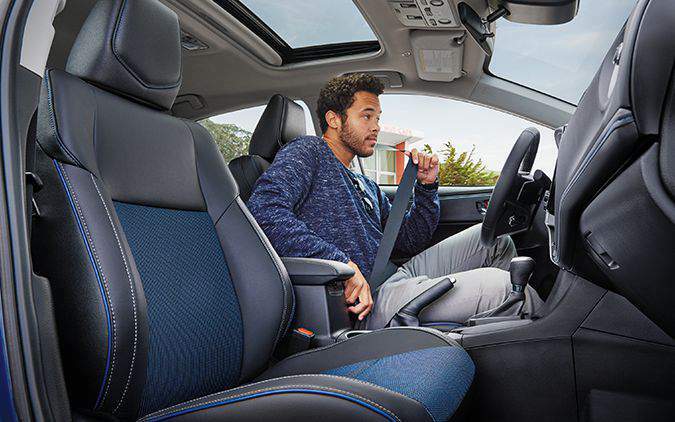 Feel right at home as you sit back in the ergonomic layout of the 2018 Toyota Corolla. It’s driver-centric interior features elegant details such as the chrome interior door handles that accentuate the luxury of the design. Combat chilly Canadian winters with ease as you enjoy the available heated front seats as well as an available leather-wrapped and heated steering wheel. 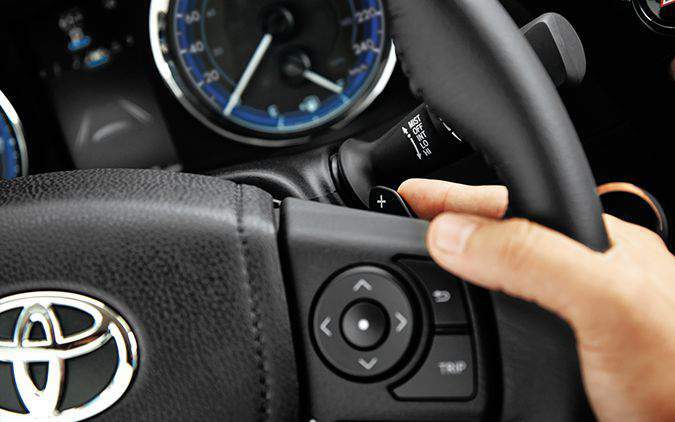 This steering wheel also comes with available mounted audio controls, providing you with access to your settings while encouraging you to keep your hands on the wheel. Bring along everything that you need with the convenience of the 60/40-fold down rear seats. 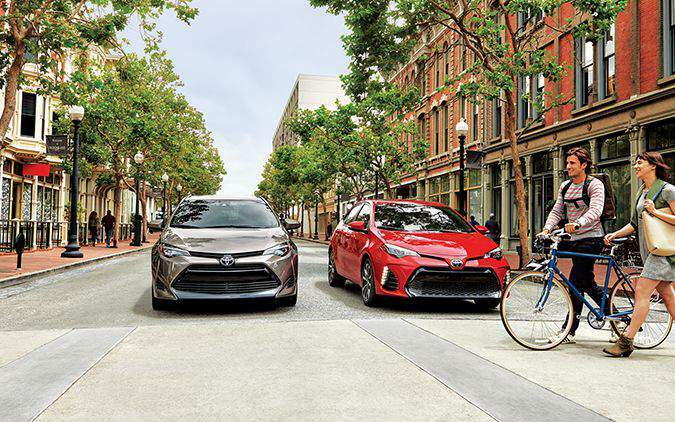 On the outside of the 2018 Toyota Corolla, a sleek front grille and bumper design draw in attention as the wheel cover and alloy wheel designs create a greater distinction between the models. Enhance protection through the front and rear splash guards as the available chrome exhaust tip and rear lip spoiler enhance the sporty feel of the look. Visibility is gained through the available Bi-LED headlights, LED Daytime Running Lights and LED Reverse Lights as you ensure your ability to see and be seen on the road. 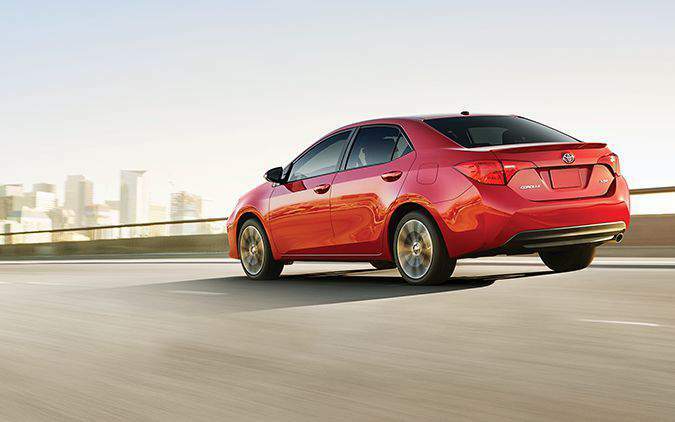 Keep your focus on the road as you engage with the advanced technology of the 2018 Toyota Corolla. Featuring an optional 7” touchscreen with Voice Recognition and Bluetooth Capability, you can connect to your compatible devices and gain access to hands-free calling, messaging and more. Find your way with the help of the available navigation system and arrive with confidence as you leave the old school maps behind. Innovative safety technology has also been included, such as with the Backup Camera, helping you to make sure the coast is clear before you reverse. Making your 2018 Toyota Corolla meet the demands of your lifestyle is simple when you enhance it with Toyota Genuine Parts & Accessories. Increase interior organization and protection through a variety of cargo liners and cargo nets as you keep your exterior protected from rocks and debris through the door sills and a hood deflector. Modern capability comes forward on the 2018 Toyota Corolla as it stands out among competitors with a sleek aerodynamic frame and impressive VALVEMATIC technology. ENgage with responsive handling through the available 6-speed manual transmission or increase performance with the fluid and reliable available Continuously Variable Transmission. Explore a range of possibilities in the 2018 Toyota Corolla as you enjoy streamlined performance, detailed elegance and modern advancements in technology. Experience the 2018 Toyota Corolla at your local Edmonton Toyota dealer – Gateway Toyota. Through a team of highly skilled professionals, Gateway Toyota makes it their goal to ensure that you leave completely satisfied.